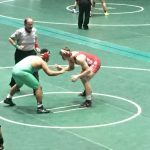 The New Palestine wrestling team honored its senior class Wednesday night in the final regular season match of the season. 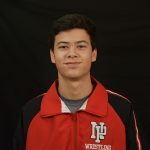 The Dragons dropped a 41-35 decision to Zionsville in another of several close matches for NP, which finishes the regular season with a 17-7 record. 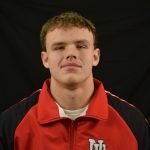 The Dragons won six of the 14 matches, five by fall. 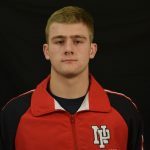 New Palestine High School seniors Logan Robinson and Landan Burton won their respective weight class titles at the New Palestine Invitational, while the Dragon wrestling team finished fourth. NP had four wrestlers in the finals – with Christian White (106) and Noah Wright (145) finishing second. As a team, the Dragons tallied 150 points to finish fourth.